Wheeler Bryant is a member of the firm’s Commercial, Banking and Business Law Group. 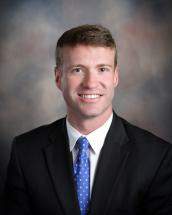 Wheeler is an associate attorney at the firm’s office in Savannah. Wheeler’s primary area of concentration is commercial litigation, business disputes, asset protection, and transactions involving real estate. For the past seven years, Wheeler has litigated civil disputes throughout Georgia, Florida and South Carolina. He routinely handles trademarks and trade secrets matters, select personal injury cases, complex commercial disputes, and cases involving secured transactions and negotiable instruments. Wheeler also litigates fiduciary matters, business torts, breach of fiduciary duties among business partners and enforcement of restrictive covenants. Additionally, Wheeler has expertise in quiet title actions, with a specific emphasis on removing clouds on title for tax sale deeds in Georgia.